The Jantar Manta Jaipur has been regarded is a World Heritage site by UNESCO. As it can be interpreted from its name “Jantar (Instrument) Mantar (Formula)” is an ancient scientific instrument which was used in many scientific calculations such as tracking stars' location as the earth orbits around the sun, measuring time, predicting eclipses, ascertaining the declination of planets, and determining the celestial altitudes and related ephemerides. Even today, Jantar Mantar, Jaipur is used for various astronomical purposes. UNESCO has inscribed this place on the World Heritage List as "an expression of the astronomical skills and cosmological concepts of the court of a scholarly prince at the end of the Mughal period". Built by Sawai Jai Singh in 1728, Jantar Mantar is a collection of Stone-Made, huge scientific instruments. Sawai jai Singh was very fond of Astromony. He was a scholar and have studied works of various Hindu, Europeans astronomers. He was a great follower of the work of Ulugh Beg, and Uzbek astronomer. 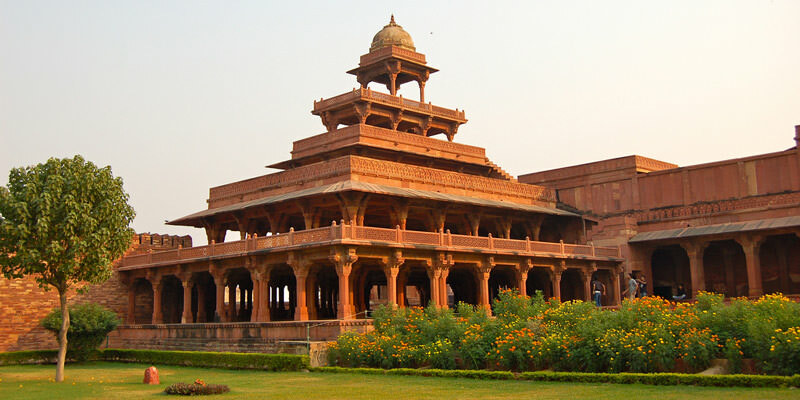 In 1724 A.D. Sawai Jai Singh built alarge observatory in Delhi using large instruments made up of Brass. In his view, such instruments could provide more exact and precise reading than smaller ones of brass. After that he built them in Jaipur, Ujjain, Mathura and Varanasi. The observatory in Jaipur was built in 1734 A.D. and is the largest amongst the one’s he built. Sawai Jai Singh himself used to take astronomical readings in this observatory situated near his palace, now popularly known as “The City Palace”. The Jantar Mantar of Jaipur id the largest amongst the five other built in India and comprises of 19 instruments that can predict eclipses, time, tracking of the stars and much more. Chakra Yantra : This instrument can tell the time at different parts of the world. Dakshin Bhitti Yantra : It measures meridian, altitude and zenith distances of celestial bodies. Digamsha Yantra : It is used to calculate the time of sunrise and sunset. Also azimuth of the sun. Dhruva Darshak Pattika : It is used to located the pole star. Jai Prakash Yantra : It is used to measures altitudes, azimuths, hour angles and declinations. Kapali Yantra : It measures coordinates of celestial bodies in azimuth and equatorial systems. Kranti Vritta Yantra : It measures longitude and latitude of celestial bodies. Laghu Samrat Yantra : It is used to measure time. Rama Yantra : It is used to measures azimuth and altitudes of celestial bodies. Rashi Valaya Yantra : It measure ecliptic coordinates of stars, planets and all 12 constellation systems. Unnatasha Yantra : This instrument allows measurement of the altitude of celestial bodies. Although all the instruments are huge in size, but their size is considered as directly proportional to their accuracy. All the instruments are mostly made of local stones and marbles only. The instrument that was used to plot the time of the day is as tall as 90 Meters and known as Samrat yantra. The city of Jaipur is well connected via Air, Bus, Train transport services to almost all the major cities in India. Once you reach the city of Jaipur, you can opt for Taxis, Local Buses, Rickshaws to reach to the Jantar Mantar. This sound & light show is a tribute to the ingenuity of Raja Sawai Jai Singh II, who engaged himself with such scientifically oriented adventures, even in politically turbulent times. The episodes narrate the making of Jantar Mantar and the need felt by Raja Jai Singh to shift the Kachwaha capital from Amber to the new capital city of Jaipur. The episodes also include stories about important astronomical instruments through graphical imagery, scintillating light effects and evocative music. Jantar Mantar Timings : The Jantar Mantar, Jaipur is open for general public only from 9:00 AM to 4:30 PM every day. Janatar Mantar Jaipur Entry Fees : Entry fee is Rs. 40 for Indians and Rs. 200 for foreigners. Still and moving cameras incur an additional fee. Guided Tours : You can also enjoy guided tour inside the place at just Rs. 200, which lasts from 40 to 60 minutes.